Wish you a wonderful new year from Tibetan Art Council. Butter Lamps, a short film directed by Chinese filmmaker Hu Wei is among the films nominated for this year’s Academy Award for Best Live Action Short Film. This 15 minute experimental short is a work of fiction that is tinted with commentary on socio-political issues on the Tibetan plateau resulting from factors that are beyond the control of the Tibetans. The film features real Tibetan nomads as they interact with a photographer who travels the land offering to shoot portraits using various backdrops. In 2010, during the director’s first attempt to shoot the film in Tibet, Tibetans refused to work with him when they saw that he wanted to use the Tiananmen Square as a backdrop. The locals thought Hu Wei was making a Chinese propaganda film and did not want to partake. After a scuffle between the locals and the filmmakers, the production didn’t resume until 2012. In the clip below from the film, Tibetan nomads pose in front of a camera, behind them is the backdrop of Tiananmen Square with it’s famous portrait of Mao. Soon an old Tibetan woman sits on a chair at the center concealing Mao’s portrait and instead holds a portrait of Gedhun Choekyi Nyima, the reincarnation of Panchen Lama, one of Tibet’s most important religious leaders. 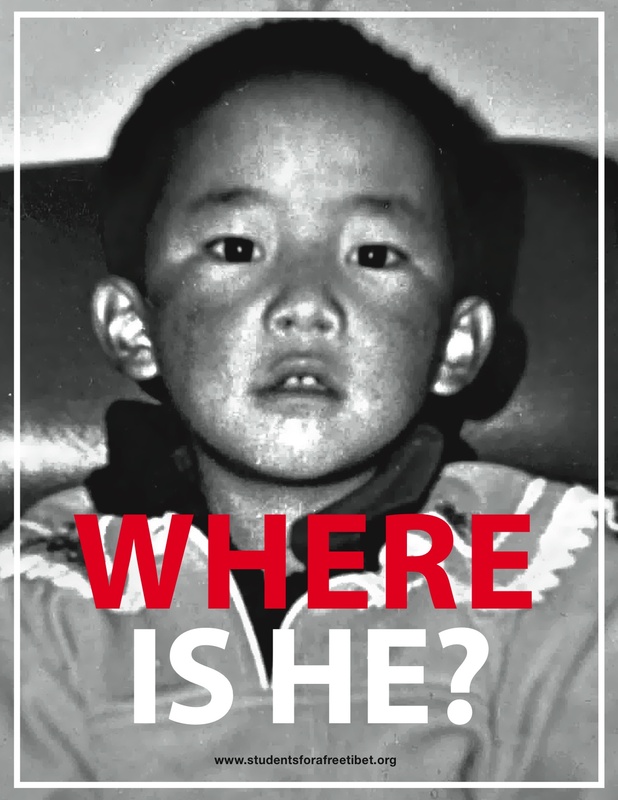 In 1995, when the boy was just 6 years, The Dalai Lama recognized him as the 11th Panchen Lama but that same year, he and his whole family disappeared from the public eye. Believed to be in Chinese custody, Human rights organizations have often reffered to him as the world’s youngest political prisoner. Born in Beijing, China, Hu Wei graduated from La Femis, the National School of Fine Arts in Paris and Le Fresnoy, and now lives and works between Beijing and Paris. 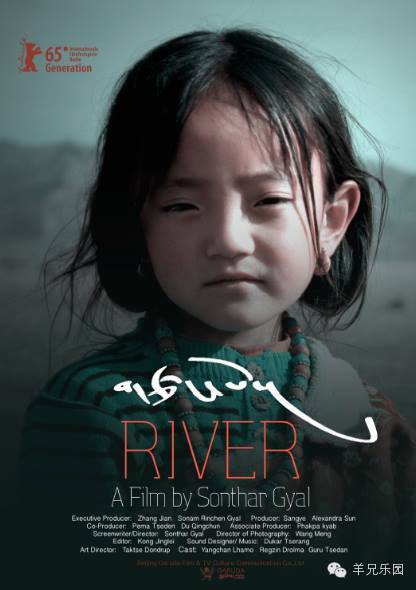 This year at the 65th Berlin International Film Festival Tibetan filmmaker Sonthar Gyal will premiere his new film Gtsngbo (River) in the section Generation Kplus. Sonthar Gyal, a contemporary of Tibetan director Pema Tseden also hails from Amdo. Formerly a traditional thangka painter, he studied at the Beijing Film Academy. He worked as a cinematographer on several of Pema Tseden’s films including Old Dog(2011). Director Sonthar Gyal’s debut feature The Sun Beaten Path(2011) competed at the The 64th Locarno Film Festival in 2011. Generation is one of the long running sub-sections of the Berlin International Film Festival focusing on films that speaks to cinematic works that are thematically and aesthetically linked to the experiences of children and young people. The program encloses outstanding children’s and youth films as well as films for all target audiences that are also suitable for young people. Established in 1978, Belinale devotes this competition section to children and youth. Along with adult jurors, the festival will also have Children jury consisting of eleven 12-14 year old kids from Berlin. The highest award in this category will be € 7,500 endowment for the best feature film. The day her father drunkenly crashes his motorbike is when young Yangchan begins to realise that something is wrong with him. In her village on the Tibetan steppe people cannot understand why he does not go and visit her sick grandfather. The old man lives in a cave; he went there to meditate, and is regarded as a holy man. Everyone has been on a pilgrimage to see him. Except her dad, who stubbornly refuses. For this reason people consider him a bad person and the boys in the village make sure that Yangchan knows it. Her mum is pregnant with the next child and just wants some peace but her dad has his reasons for his irreconcilable stance. The family moves their tent to pastures further afield, but the conflict pursues them. Yangchan thinks that nobody understands her. And she does not like the way her mum’s belly is swelling either. She finds love and affection in the shape of an orphaned lamb that she tenderly takes care of and raises. But their problems remain unsolved. A moving story – told entirely from the girl’s point of view – about her father’s deep emotional wound that reignites after many years and pushes the whole family to the edge of a precipice.